The Apple Event was held in Cupertino yesterday, and they finally unveiled the next generation iPhone, or rather iPhone’s. 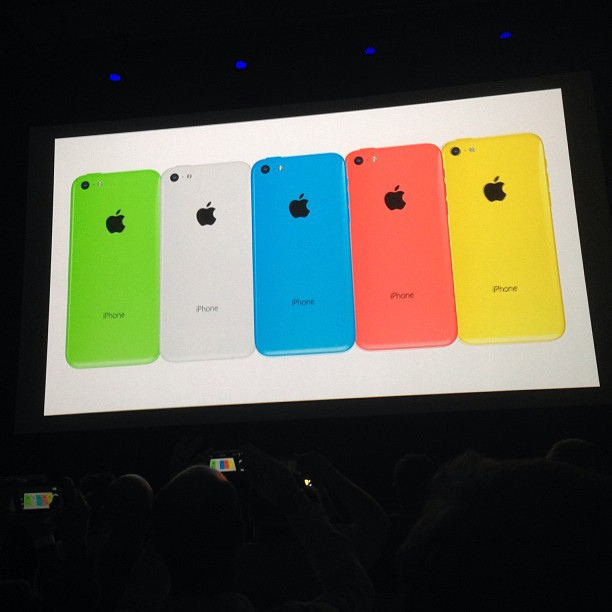 Apple announced iPhone5S and iPhone 5C. In case you missed the event for some reason, we have the highlights of the event for you. Read on to find out about the news shared and products unveiled in the exact order during the event. Tim Cook took the stage first and spoke about the iTunes festival, which is in its 7th year. 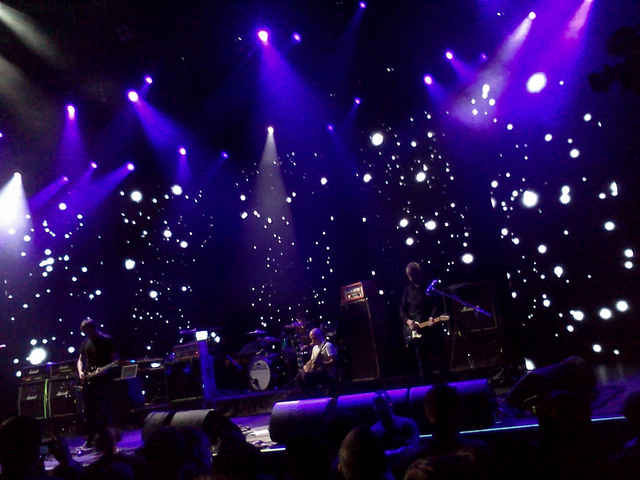 It is 30 days of live music events in London. The tickets were free, and 20 million people had applied for it. It is streamed live in more than 100 countries. Everyone knows how Apple likes to talk about one or two of its retail stores in all its events. This time, Stanford store was mentioned. The store isn’t as vast as others but has already served five million customers, 2000 per day on an average. As you can see in the picture above, the store indeed looks small and beautiful. Apple says it is going to ship its 700th iOS device by next month. Craig Federighi was on stage and he gave a walk-through, they were pretty much the same features which we had seen in the previous Apple event (WWDC) where iOS 7 and the new Mac OS X were first showcased. iOS 7 will be officially released on September 18th. It’s compatible with iPod Touch 5th Gen, iPad Mini, iPad 2 and later, iPhone 4 and later. iTunes Radio was also spekn about in the event, and it will be the part of iOS 7 update to be available on 18th September. It works similar to Pandora and is sure to give them a run for money. 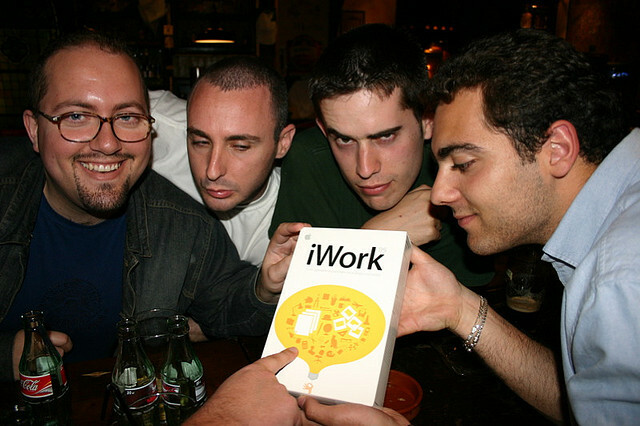 Everyone knows iWork for iCloud was made available to public quite recently, although it is still in beta mode. iWork suite includes Keynote, Pages, Numbers, iPhoto and iMovie, and it will be henceforth, Free to download. iWork is free, however, only for devices which have been activated after 1st September 2013. Obviously, it will be freely available to the next gen iPhone buyers. Tim cook decided that we had waited enough and it was finally time to reveal the iPhone 5 killer (Quite literally, actually). iPhone 5 is now discontinued and it will be replaced with new iPhone5C, which is available in 5 colors; Green, white, blue, pink, and yellow. Its back is made of plastic, the material used is Hard-Coated Polycarbonate. Apple has also created cases for it which is made of Silicon Rubber, and costs $29. The cases too are available in various colors. It costs $99 for 16GB and $199 for 32GB with 2 year contract. Unlocked device costs $549 for 16GB and $649 for 32GB. That’s a tad bit higher than we were expecting. The pre-orders begin from September 13th. The phone people had been waiting for. Here too, Apple started with colors. 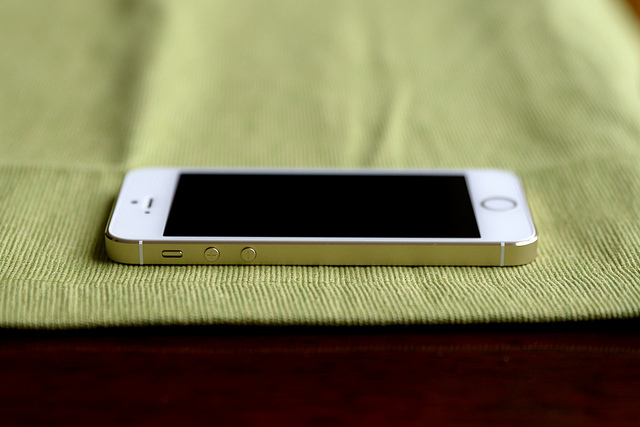 iPhone5S is now available in 3 colors, Slate, Gold and Space Gray. The device is made of high-grade aluminum. iPhone5S sports a A7 chip, which is by the way a 64-bit chip. It is the First and only smartphone as of now to run on 64-bit processor. 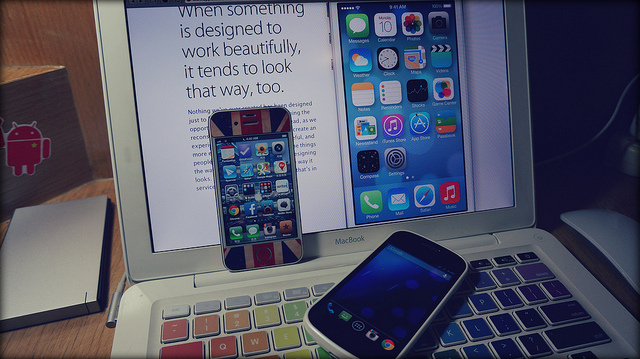 The iOS 7 on it is also runs on 64-Bit, and it supports both 32-bit and 64-bit apps. Apple’s apps are also now 64-bit. Unsurprisingly, the CPU performance is 40 times faster than iPhone 5 and its Graphic Performance is 56 times faster. It runs OpenGL|ES 3.0. Apple also introduced a M7 chip, which is a Motion Co-processor and it runs alongside A7. It measures accelerometer, compass, and gyroscope. Nike has already developed an app for it called “Nike+ Move”. The phone battery is better than its predecessors. The iSight camera now has a F2.2 Aperture which increases Light Sensitivity by 33 percent. Apple says the sensor has a 15% larger active area. The camera Flash has 2 LED’s now, One is cool and white, the other is warm and amber which balances the color tone of the picture. The Flash has over 1,000 unique variations depending on when the picture is clicked (Day, Noon, Eve, Night, Bright day, Dull day, etc). The new Burst mode take 10 frames in a second. Another new camera feature is Slo-Mo, it records HD video at 720p, at 120fps. And finally a feature that media and almost everyone in fact, talked about for months. The major update in iPhone5S, is its Security feature, Fingerprint Scanner is official. Apple’s likes to call it “Touch ID”. It’s built into the Home Button. The Home button is surrounded by a Stainless Steel ring which is actually the Fingerprint Scanner’s “Detection Ring”. And the button is Sapphire and hence, Scratch-Resistant. You simply need to touch the Home Button to access your iPhone. Also, forget about entering password to buy apps from iTunes store, the Touch ID will suffice for verification. It can handle multiple fingerprints which can be recognized from multiple angles. All fingerprints are obviously encrypted and none of its data is sent to Apple servers or backed up on iCloud. iPhone5S costs 16GB for $199, 32GB for $299 and 64GB for $399, with two-year contract, of course. The unlocked version costs $649 for 16GB, $749 for 32GB and $849 for 64GB. Apple has new cases for it too, which costs $39. The pre-orders begin from September 20th. Needless to say, Apple is expecting a lot of positive response for iPhone5S and 5C. While other companies have been busy with increasing the screen size, Apple still strives to bring perfection to in every technology that it introduces or uses, even if that’s just one or two. Although no hints were dropped about the iPad or iPad mini event, also to be held before the end of this year, hopefully, we wonder what Apple has in the store for us. The Apple Keynote video is now available on iTunes to download. 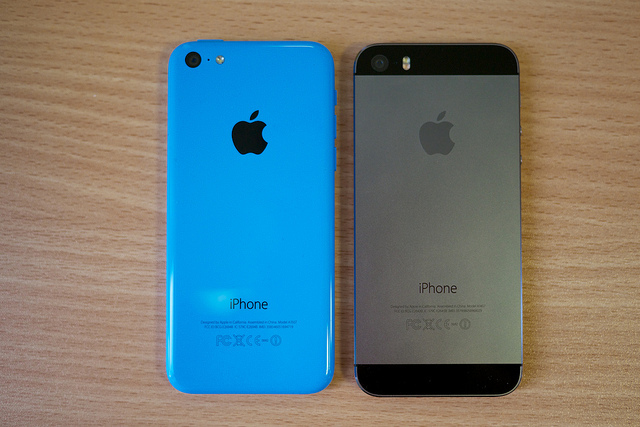 Were you satisfied with iPhone5S and 5C? What did you feel Apple missed or failed to do? What else were you expecting from the event? Discuss away.